May 2018 be the year we let Him do great things through us! Can you believe it’s already the end of 2017? How many of us thought we’d ever make it this far? I have an audio tape of my mother in 1964 saying that she didn’t think they needed to plan for their return from the mission field in 5 years, since the world just couldn’t get any worse! Yet here we are, almost 50 years later! When my parents returned from New Guinea in 1969, and we traveled through Bangkok, my father took a lot of photos. On one of those slides, in my mom’s handwriting. It says, “How are we ever going to reach this huge city of 3 million people?” Today there are over 13 million people in that same city! It is just one of hundreds of huge cities in which there are barely a handful of Adventists, if any at all. This is the 13th year since God began moving to build what has become Jesus for Asia. He started it small, based on the concept that if God calls, God will provide (Matthew 6:33). He did call, and He has provided. He has made it very clear to us that He loves to work through His people to accomplish His goals. In fact, He binds Himself to His church. For instance, when God wanted to take the children of Israel into Canaan, they lost faith and resisted so He wasn’t able to. Psalms 78:41 says, “they … limited the Holy one of Israel.” They limited God! Whoa! How often do we limit God by our lack of faith, our lack of vision? About three years into the ministry, I was struggling with doubts — it was hard, working with so little. I was beginning to wonder if God really wanted Jesus for Asia to continue or not. We were in Bangkok, my wife and kids were with me and we were sleeping in a cheap hotel where we pushed two single beds together and all four of us slept lined up like cordwood. In the middle of the night, about 2:30 am, I was sound asleep when suddenly I felt a thought coming into my mind. I knew that if I woke up enough to think about it I would never get to sleep again and I’d be exhausted all day. I asked God to let me wake up just enough to catch the thought but then go back to sleep. He did that. The thought came: “Jesus for Asia is Jerusalem.” I wondered, “what does that mean?” but I didn’t want to figure it out then, so I said it a few times and went back to sleep. A few hours later when I woke up, it came back to me. But I was still asking, “what does that mean?” As I thought about it and asked the Lord for the meaning, I realized that, although God’s kingdom is unseen, He establishes organizations and physical structures on the earth so that people can see how He works and His name can be known. Jerusalem was such a structure and organization. God was saying that He had started Jesus for Asia for the same purpose. He was also saying that all the promises in the Bible that pertain to Jerusalem can be claimed for Jesus for Asia. That insight, that gift of understanding at that time, was a huge encouragement to me to keep going and to trust Him more. The ministry grew bit by bit, averaging about 10-20 percent growth every year. Then in 2016, the Lord really blessed and JFA experienced a 50 percent growth! Most of this went to specific projects but we were actually seeing hope in the finances. Instead of the feeling of constant decline, we began to see light at the end of the tunnel. But then I started to sense that we could stagnate in the blessings. If the Lord is blessing, there must be a reason — not just to receive, but for the growth of His kingdom. So we entered new places and started new work. One of those opportunities was in India. Our director had been asking for quite some time if he could start a weekly television broadcast and we had been saying “no” for years. But this year we said “Yes.” The fruit speaks for itself – within 3 months we have a newly baptized family in an area where there had been no Adventist presence whatsoever! Now the light is growing in that area with other families receiving Bible studies. It’s so exciting! Another expansion is in Thailand, where we purchased a used Toyota SUV and outfitted it as a TV production vehicle. It’s hard to put into words the joy and excitement I felt when we first drove out to a small Hmong village church, rolled out the cables, hooked the cameras up to the switcher, and began broadcasting live to Facebook. Wow! Nothing can compare! So much prayer, thought, and planning had become a reality. The truck continues to work in the capable hands of our local media team. Just last month, they drove it up into the mountains to Gayle Haberkam’s project to record an entire evangelistic series (the first ever in that area)! Sixteen people were baptized! Now they will be able to replay all the messages whenever they need to be nurtured and share the truth with their neighbors. 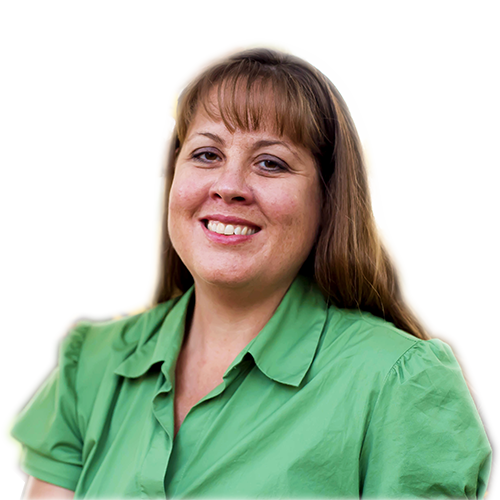 Gayle’s joy was completely overflowing in tears of gratitude knowing that her people will have these sermons. What a powerful tool! 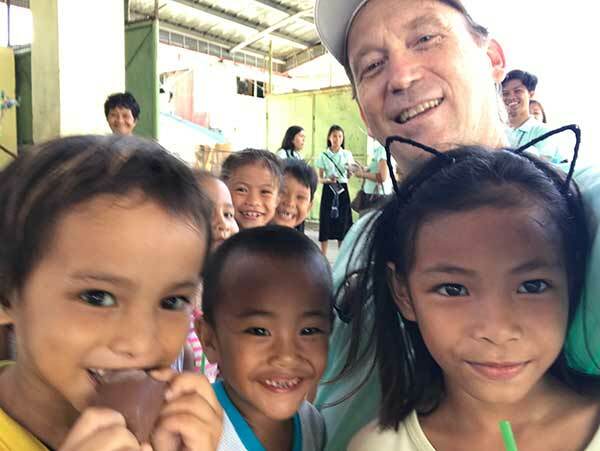 There are so many other projects — like feeding and educating poor naked children in the mountains of Mindoro, extending the Gospel into the slums of Mumbai, broadcasting it over the 15,000 islands of Indonesia, etc., etc. Your prayers and support enable all this and more, things we cannot even see right now! Plus it allows us to support the missionaries in their projects and the over 250 national Bible workers in their fields, children’s evening schools, widow’s schools, orphanages, etc. And there’s more! God is giving us a larger vision for entering places where there are NO Adventists representing His heart or sharing the three angels’ messages. For example, in the central valley of Thailand there are cities in which there is no Adventist, no church, no pastor, no missionary. Our dream is to establish some centers there — whether they be English language schools or just worship centers, anything will be better than nothing! We have been praying to the Lord about this for years and we sense His time is very near to actually doing something, to taking action. I still struggle from time to time thinking about how the work will be sustained, much less finished. Yet I see God constantly working, leading, and building my faith and the faith of those we work with. Through this ministry I’ve seen people give their lives to serving others, not worrying about their earthly futures, but only the eternal futures of those they are serving. Out of that I have witnessed so much joy and satisfaction. God truly knew what He was doing when He gave us the gift of missions and sacrifice. Honestly, I’m addicted. I’m addicted to seeing people learn about Jesus, especially those who would normally have no access to that knowledge. I want to do more! Because there are still a LOT more people that have no clue that Jesus is their Father, who go through their lives burdened by all that is unknown in their future. I’m addicted to seeing the truth getting to these people. The joy I experience when I anticipate someone getting access to a Gospel they can understand and want… well, it’s beyond words! I’m hooked on doing more. I also realize that God has created a partnership. We are not doing this alone, by any stretch of the imagination. You are intrinsically included in the planting and in the reaping. You can take joy in the joy that we are experiencing. Of course the greatest reward, and the full extent of the effect of this partnership, will only be realized when we meet Jesus face to face and see the people that are there and the smiles on their faces…. words fail me. We want to thank you for allowing God to use you in building up His Jerusalem. But we’re not done. It’s time to send the light further and open the door to many more before it is forever too late and the door of life is forever shut. We are praying for $280,000 to finish the year strong, help pay off some debts, finish in the black, and be set to start the new year. Will you pray with us? Will you work with us toward that end?